My research interests are in compilers and computer architecture, with a focus on performance, reliability, and security. Before joining CS@VT, I was a graduate student in Computer Science at Georgia Institute of Technology working with Prof. Santosh Pande. From 2005 to 2008, I was a member of the research staff at ETRI (Electronics and Telecommunications Research Institute). During the three summers between 2010 and 2012, I worked as a software engineering intern with the compiler optimization team at Google. I am honored to receive an NSF CAREER Award in 2018. A paper accepted to RTAS 2019. Congratulations to Jongouk! I am co-charing HIPS 2019 with Neha Gholkar (Intel). Submit your best work! The BOGO paper accepted to ASPLOS 2019. Congratulations to Tong! 2 papers (iDO and Sampler) accepted to MICRO 2018! Congratulations to Qingrui and Tong! 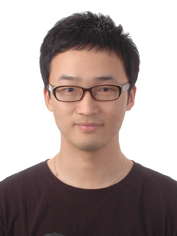 Congratulations to Qingrui for successfully defending his PhD thesis! The CommAnalyzer paper accepted to HPDC 2018. Congratulations to Ahmed! The nAdroid paper accepted to CGO 2018. Congratulations to Xinwei! The AutoMatch paper accepted to IISWC 2017. Congratulations to Ahmed! The BenchPrime paper accepted to EMSOFT 2017. Congratulations to Qingrui, Xiaolong, and Larry! The ProRace paper accepted to ASPLOS 2017. Congratulations to Tong! A paper accepted to MICRO 2016. Congratulations to Qingrui! A paper accepted to SC 2016 as Best Student Paper Finalist. Congratulations to Qingrui! A paper accepted to NVMSA 2016. Congratulations to Qingrui! A journal paper accepted to ACM TECS. Congratulations to Qingrui! The TxRace paper accepted to ASPLOS 2016. Congratulations to Tong! It was proposed to improve TCMalloc, Google 's open-source memory allocator, but would be applicable to other allocators. If you are interested in it, please take a look at US Patent 9063668. The Clover paper accepted to LCTES 2015. Congratulations to Qingrui! I will be serving as the Publicity and Publications Chair for ASPLOS 2016. Please consider submitting your best work! 2 papers accepted to ICSE 2014! [TOP-TIER] the 25th IEEE Real-Time and Embedded Technology and Applications Symposium (RTAS'19), Montreal, Canada, April 2019. [TOP-TIER] International Conference on Architectural Support for Programming Languages and Operating Systems (ASPLOS), Providence, Rhode Island, April 2019. The 10th Annual Non-Volatile Memories Workshop (NVMW'19), San Diego, CA. March 2019. [TOP-TIER] IEEE/ACM International Symposium on Microarchitecture (MICRO), Fukuoka, Japan, October 2018. Sam Silvestro, Hongyu Liu, Tong Zhang, Changhee Jung, Dongyoon Lee, and Tongping Liu. [TOP-TIER] ACM SIGBED Conference on Embedded Software (EMSOFT), Seoul, Korea, October 2017. IEEE International Symposium on Workload Characterization (IISWC), Seattle, Washington, October 2017. [TOP-TIER] International Conference on Architectural Support for Programming Languages and Operating Systems (ASPLOS), Xi'an, China, April 2017. [TOP-TIER] ACM/IEEE International Conference for High Performance Computing, Networking, Storage and Analysis (SC), Salt Lake City, Utah, November 2016. [TOP-TIER] IEEE/ACM International Symposium on Microarchitecture (MICRO), Taipei, Taiwan, October 2016. IEEE Non-Volatile Memory Systems and Applications Symposium (NVMSA), Daegu, Korea, August 2016. ACM Transactions on Embedded Computing Systems (TECS), Vol. 16, Issue 2, 2016. [TOP-TIER] International Conference on Architectural Support for Programming Languages and Operating Systems (ASPLOS), Atlanta, Georgia, April 2016. ACM SIGPLAN/SIGBED Conference on Languages, Compilers, Tools and Theory for Embedded Systems (LCTES), Portland, Oregon, June 2015. [TOP-TIER] International Conference on Software Engineering (ICSE), Hyderabad, India, June 2014. Doctoral Dissertation, School of Computer Science, Georgia Institute of Technology, August 2013. [TOP-TIER] ACM SIGPLAN Conference on Programming Language Design and Implementation (PLDI), San Jose, California, June 2011. Journal of Parallel and Distributed Computing (JPDC), Vol. 70, Issue 5, May 2010. [TOP-TIER] IEEE/ACM International Symposium on Microarchitecture (MICRO), New York, New York, December 2009. Workshop on Parallel Execution of Sequential Programs on Multicore Architectures (PESPMA), Austin, Texas, June 2009. IEEE Transactions on Parallel and Distributed System (TPDS), Vol 20, No 9, September 2009. [TOP-TIER] ACM & IEEE SIGBED Conference on Embedded Software (EMSOFT), Salzburg, Austria, October 2007. IFIP Workshop on Software Technologies for Future Embedded & Ubiquitous Systems (SEUS), LNCS 4761, Santorini Island, Greece, May 2007.
International Symposium on Embedded Technology (ISET), Daegu, Korea, April 2006. IEEE International Parallel & Distributed Processing Symposium (IPDPS), Rhodes Island, Greece, April 2006. ACM SIGPLAN Symposium on Principles and Practice of Parallel Programming (PPoPP), Chicago, Illinois, June 2005.